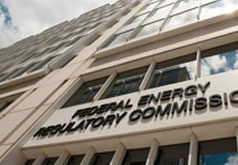 Acknowledging that he has grown in his role at FERC and praising former Chairman Kevin McIntyre for that growth, Chairman Neil Chatterjee intends to maintain FERC’s independence and avoid political interference in the Commission’s deliberations, he said during an October 31 media briefing. Among other topics touched on during the briefing, Chatterjee said he: has no intention of making staff changes; hopes to have a full complement of commissioners for any major policy decision, such as the natural gas pipeline certificate policy statement review or addressing comments on power grid resilience; wants to see progress on cybersecurity protection for pipelines; aims to review FERC’s role in the Public Utility Regulatory Policies Act; ensure the reliability and resilience of the power grid; and break down barriers to entry for new technologies in the energy sector. But behind any decision must be votes based on the record and supported by the rule of law, Chatterjee said. That is something emphasized by McIntyre, and Chatterjee said he intends to build on the tremendous work that McIntyre accomplished as chairman. Chatterjee told reporters that being named chairman by the White House due to the health issues of McIntyre is not something that he sought and is a difficult situation, both professionally and personally, because McIntyre is a trusted colleague and friend. “I most definitely do not relish it, but we have important work to do. Kevin wants me to be a strong leader for him and for the agency that he cares so deeply about, and I’m committed to work with my colleagues to live up to that expectation,” he said. Chatterjee was named FERC chairman by President Donald Trump on October 24, with McIntyre moving to a commissioner position, though McIntyre has not voted on orders while he addresses his health issues. Chatterjee previously served as chairman for four months in the fall of 2017, and that experience helped him learn the importance of FERC’s processes, culture, and traditions, he said. He came to FERC after having been a key energy staffer for Senate Majority Leader Mitch McConnell (R-Ky.) and McIntyre helped him grow in the transition from a partisan legislative aide to part of an independent agency. “He could not be more strenuous in saying that politics could not be allowed to interfere with the work of the Commission,” and “I hope to lead in the same way that he did,” Chatterjee said. Two key items pending at FERC are its review of the gas pipeline certificate policy statement and views on power grid resilience, which followed FERC’s 5-0 rejection of a proposed rule from Energy Secretary Rick Perry to support coal and nuclear generation units in organized wholesale markets. Chatterjee was not willing to comment on when or how the Commission will address those items, but he did say that major policy decisions are better when there is a full complement of commissioners, and there is a consensus among commissioners. Trump has nominated Bernard McNamee of the Department of Energy to fill the commissioner seat vacated by Robert Powelson in August. The Senate Energy and Natural Resources Committee has scheduled a confirmation hearing with McNamee for November 15, the same time and date of the Commission’s next open meeting. When Perry sent the proposed rule to FERC in the fall of 2017, Chatterjee said he was sympathetic to the views of Perry and trying to stem retirements of coal-fired generation facilities given his background from Kentucky and his political leanings. His views have evolved, and he knows that any decision following comments on resilience in the notice of inquiry will have to be based on the facts in the record and consultation among commissioners. “This will not be a politically influenced decision,” he said, declining to indicate if FERC will take action or not. The 1999 gas pipeline policy statement is being reviewed in a notice of inquiry (PL18-1), with the comments and reply comments received months ago. “I hope that we can find ways to improve our process” of reviewing applications for new pipeline facilities, Chatterjee said. Again, he said any action would be based on the record and he declined to comment on whether the Trump administration aims to have the Commission approve more pipelines or in a faster manner. Commissioners Richard Glick and Cheryl LaFleur have dissented from some orders approving pipeline projects or expansions based on their view that FERC should be taking a more active role to consider greenhouse gas emissions associated with pipelines. Chatterjee said he is not concerned about 2-2 votes on pipelines while there is a commissioner vacancy and he downplayed the notion that the positions of Glick and LaFleur are tied to being Democrats. Their statements have been about discreet issues associated with GHG emissions and “there is a lot of nuance and complexity” in the views of the commissioners regarding the policy statement. “We need a lot of answers” and there is plenty of work to be done examining the record, he said, expressing confidence that FERC can achieve a consensus of views. Chatterjee believes in climate change caused by man and has been open about his views on the need to mitigate GHG emissions. The reduced GHG emissions in the U.S. that have come from gas-fired generation squeezing out dirtier generation resources could be translated at the global level with increased exports of LNG to overseas markets, he noted. Returning to the wholesale power market and the interplay with state decisions on generation resources, Chatterjee agreed with comments made by Glick recently that competitive markets are imperfect and there needs to be accommodation of state policies. The reality is that states are taking actions about their generation mix – such as additional compensation for nuclear generation or increasing use of renewable resources – that are having an impact beyond their borders. “I believe fundamentally in states’ rights,” he said, while at the same time being very “pro market,” and those two stances can be at cross purposes regarding wholesale market design. “This is not a simple question” and Chatterjee said he has had “productive discussions with my colleagues” about where to find a balance between supporting competitive markets and states’ rights. “If it were an easy question we would have answered it already. It is not,” and FERC will continue to review the issues, he said.